Flexible software that helps you manage your cash and your customers. 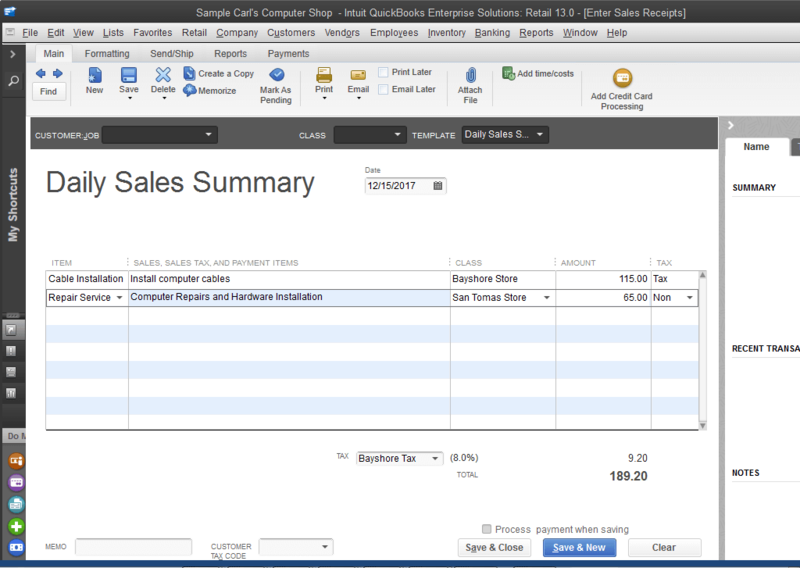 Retail businesses can save time and work smarter with QuickBooks Desktop Enterprise. and features that retail businesses need. Customize and automate your pricing with Advanced Pricing.2 Create thousands of sophisticated price rules such as quantity discounts and scheduled promotions, and manage those rules with great flexibility. No more complicated workarounds. 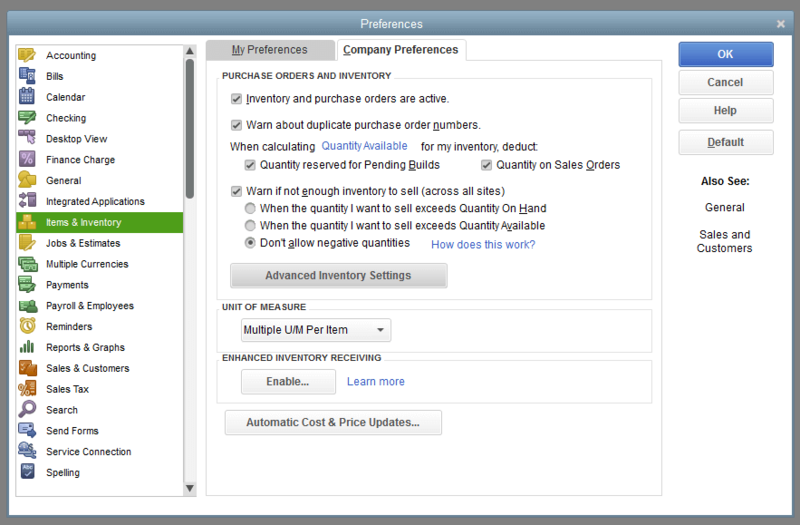 The Advanced Inventory3 functionality lets you seamlessly manage inventory right within QuickBooks. 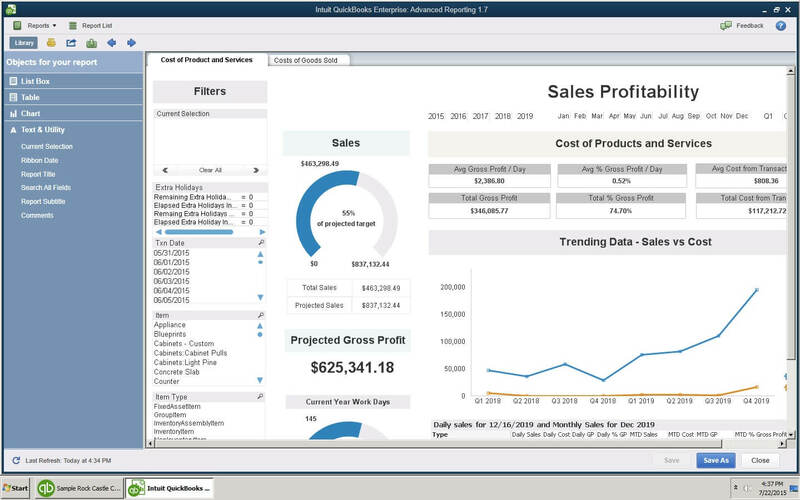 Advanced Reporting5 puts the information you need at your fingertips. Find the right report fast with reports bundled for the retail industry. 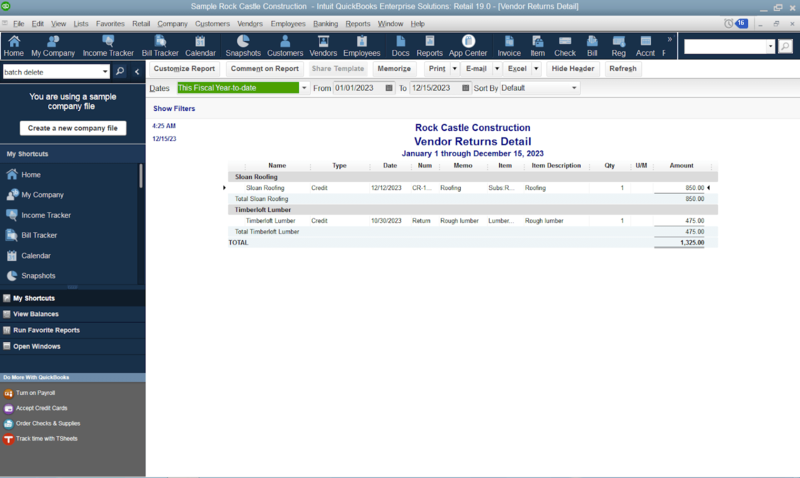 Save time with templates auto-filled with your company information. Plus find answers to your reporting questions with our robust help portal. Accounting systems for retailers must keep track of sales, inventory, and customer information. The special features of the Retail edition help keep these moving parts all straight. You can also pair it with QuickBooks Point of Sale software (sold separately) to transfer sales, inventory and customer information to your books in one quick step. With Advanced Reporting, our most powerful QuickBooks reporting tool, you won't need to sort through hundreds of reports to find the right one. We've bundled together the reports that our retail customers have found the most useful. We've unlocked several key tools previously reserved for accountants, to give you even more control over your books. Write off an outstanding invoice as bad debt. 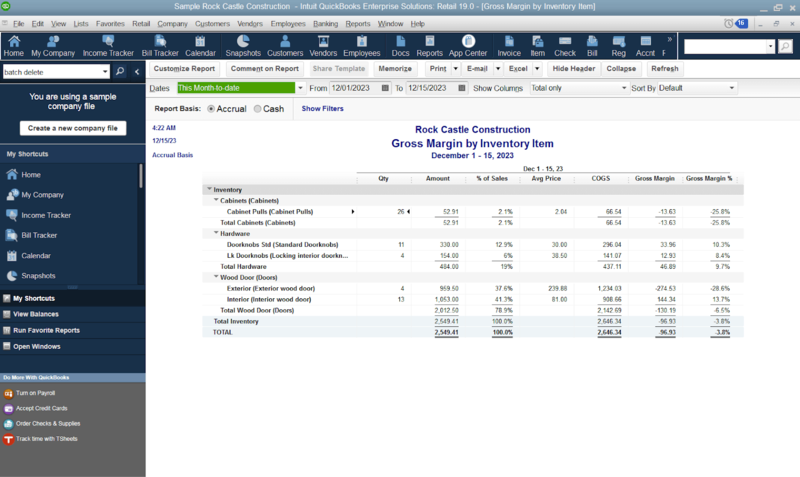 Speed up troubleshooting by using prior account balances to locate account discrepancies. Manage your lists more actively with our review list changes function. See what's been added, changed, and deleted in the Chart of Accounts, Items, Fixed Assets, and Payroll Items lists. Maintain control of your average cost by preventing it from resetting when you have inventory on hand. 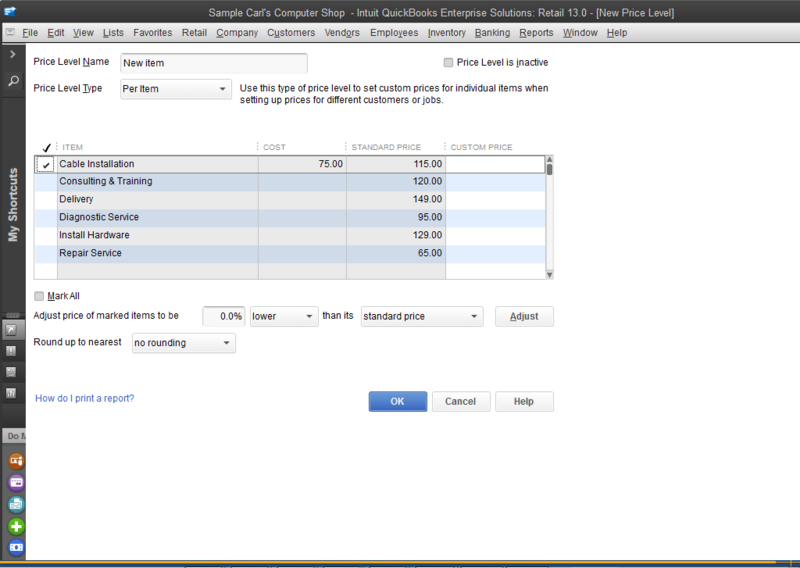 Create up to 750 price levels for any item, or create custom price levels. Organize your information the way you need to see it. Accounts and settings you need. Customize at any time. 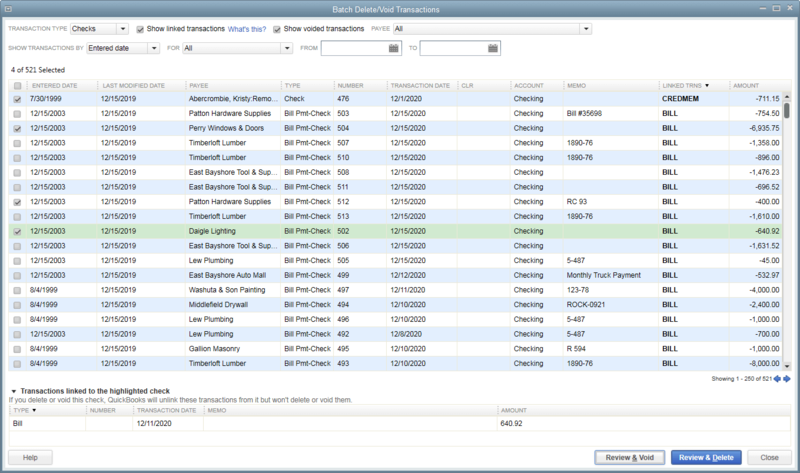 Reduce tedious work by totaling quantities and custom fields, like weight, on sales forms. Verify you're ordering the correct amount without having to manually total quantities on purchase orders. See gross margin by inventory item (if you company records each sales transaction.). 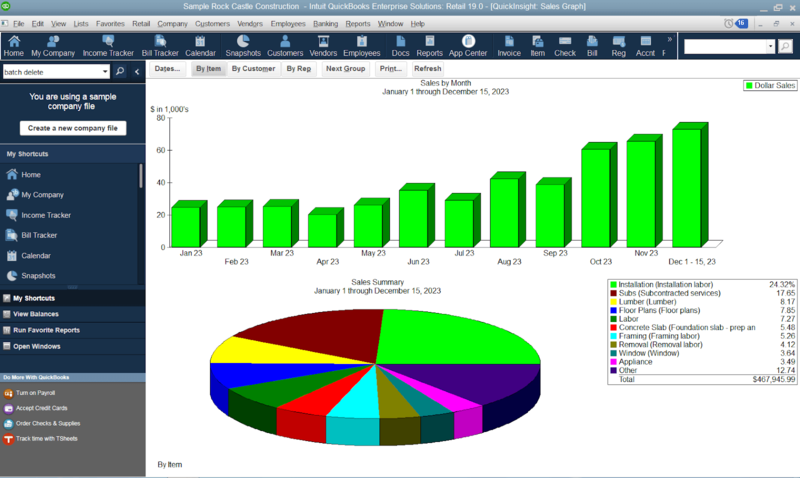 Determine your best customers and their sales activity over the last fiscal year. Track vendors from which you purchase the most goods. See your sales by month and which items, customers or sales reps bring in the most income. See which goods are most commonly returned to each vendor. This testimonial represents this customer's individual experience. Your results may vary. Advanced Pricing is included in the Platinum subscription. Requires QuickBooks Desktop Enterprise with an active QuickBooks Desktop Enterprise subscription and an Internet connection. You'll automatically receive any new versions of our product that are released, when and if available, along with updates to your current version. Advanced Inventory is included in the Platinum subscription. Requires QuickBooks Desktop Enterprise with an active QuickBooks Desktop Enterprise subscription and an Internet connection. You'll automatically receive any new versions of our product that are released, when and if available, along with updates to your current version. 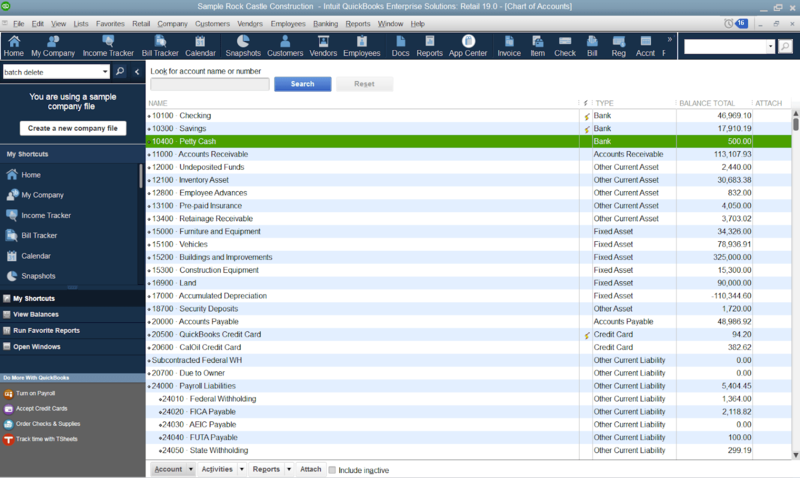 The Full Service Plan (FSP) is included in your QuickBooks Desktop Enterprise subscription. As part of the FSP, you have the option to add Intuit Data Protect for free as an active Subscriber to QuickBooks Desktop Enterprise. Service begins as of the date activated and continues through to the expiration date of your QuickBooks Desktop Enterprise subscription. Active QuickBooks Desktop Enterprise subscribers receive new versions of our products when and if released within 12 months of QuickBooks Desktop Enterprise purchase date. Online access to training is included with a QuickBooks Desktop Enterprise subscription. Terms, conditions, pricing, features, service and support options are subject to change without notice. See terms and conditions at qbes.com/terms. 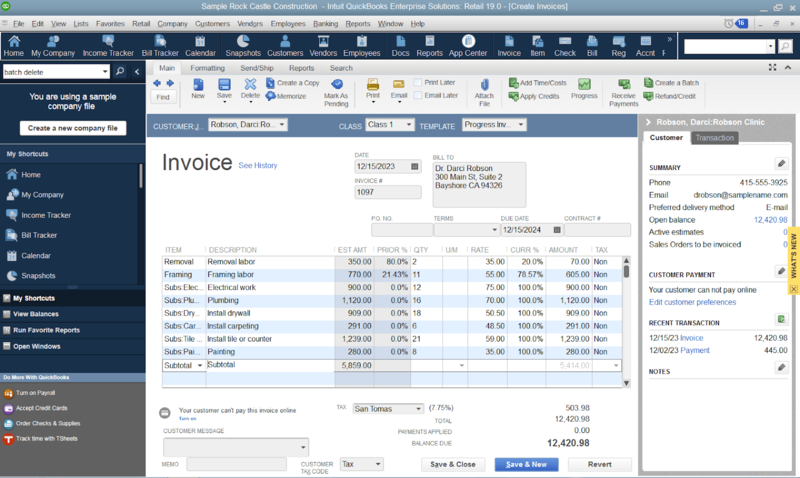 U.S.-based support for QuickBooks Desktop Enterprise is available weekdays from 4:00 am - 7:00 p.m. Pacific Standard time. If support is needed outside these hours, the QuickBooks Core Support team is available 24/7. Support hours exclude occasional downtime due to system and server maintenance, company events, observed U.S. holidays and events beyond our control. Intuit reserves the right to limit each telephone contact to one hour and to one incident. • Write off an outstanding invoice as bad debt. • Speed up troubleshooting by using prior account balances to locate account discrepancies. • Manage your lists more actively with our review list changes function. 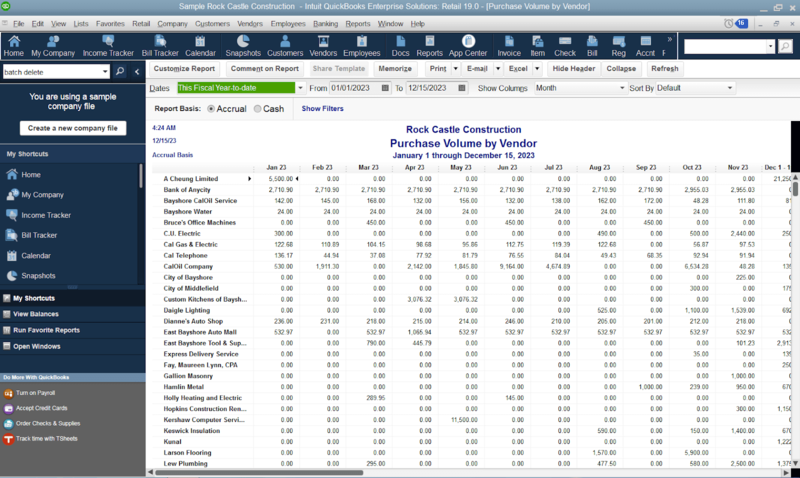 See what's been added, changed, and deleted in the Chart of Accounts, Items, Fixed Assets, and Payroll Items lists. 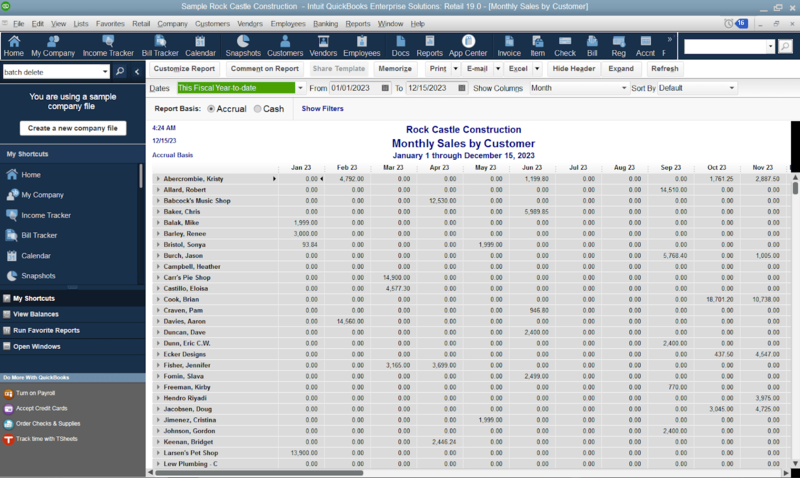 Track sales results accurately with the Sales Summary Form.